Spring fly fishing is filled with the promise of warmer days and blue skies, rain and snow, and spawners and browns. It feels so good to be back along and in the river. Listen to Episode 42: Spring Fly Fishing Success as you make ready for your next wonderful day in the great outdoors. We’ve introduced a new feature to our podcast – “Great Stuff from Our Listeners.” At the end of each episode, we read your great comments, adding your ideas to the creative mix. 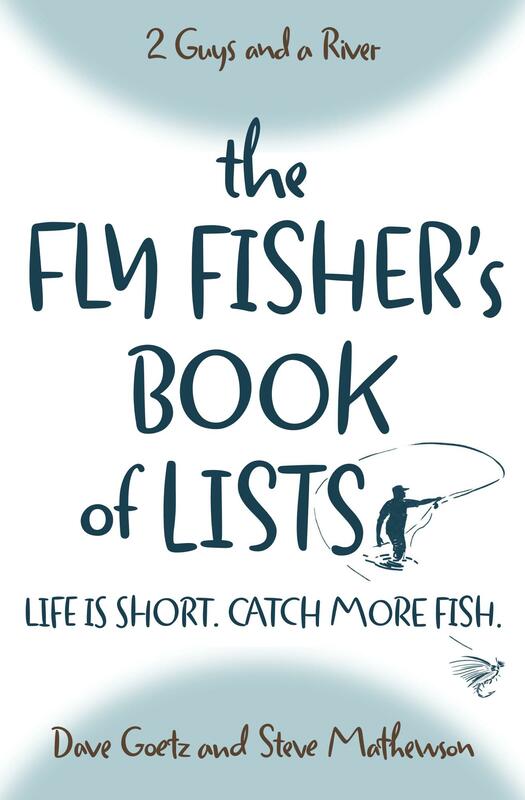 Post your ideas for spring fly fishing success; we’d love to hear from you. I, as are most seasoned fly anglers, love observing nature’s cycle and rhythmic beauty as much as catching fish. Every year, as mother nature’s deciduous plants awaken from winter’s hibernation, they prepare for the full life of summer with bright colored blooms and sprouting pale green leaves. It is the beginning, the metamorphic sunrise, of the year. Seeds begin to sprout through the soil’s surface. Spring is when nature’s life begins. Spring is the time when the Rainbow trout spawn to reproduce new life. They then incorporate colors of light red to lavender, as does a colorful sunrise when it begins a daily cycle. Spring is my favorite time of the year. The end of winter and preparing for Summer’s full life. Then comes my second favorite and most beautiful season, the Fall. As winter begins it’s end of the cycle approach, deciduous plants develop seeds to reproduce in the Spring. They change their colors to brown and beautiful bright colors before dying or hibernating. Fall is also when the brown trout and brook trout (char) spawn in river gravel nest called redds. It is then when they incorporate some of the most spectacular colors of dark red and orange, as does the colors of a beautiful daily sunset. In my opinion, their Fall colors are the most beautiful of all freshwater fish. Spawning Rainbows remind me of the beginning of nature’s yearly cycle and the Browns and Brook trout reminds me of the summer’s end and coming of another winter. It is the Spring time of the year that I love to fly fish the most. Maybe it is because you don’t have the floating leaves to contend with or that it follows a long boring winter. I used to winter fish in snow and partly ice covered rivers but the older I get the more uncomfortable it gets. Now, at 75, I spend more time tying flies and wanting to fish during the winter. You fly anglers that have not experienced the effects of ageing should enjoy it as much as possible. It will not last. In conclusion… The most challenging, and therefore rewarding, are the beautiful native brook trout in high mountain spring creeks in the fall but the most fun and exciting fly fishing is for wild rainbow trout in the Spring following a long boring summer. What a stirring post! Thanks, Edward. Dave and I admire people like you who use words well to capture the beauty of the outdoors–especially the change in seasons. We also admire anglers who don’t stop fishing when they reach their 70s and beyond. So we appreciate you taking the time to post this wise, thoughtful reflection. You’re right, enjoy getting out on the river while you’re able to do so. It will not last.